Firearm User Network℠ is the organization that fully organizes shooting and shooters. We host a number of Programs of our own design and our services are capable of supporting all forms of shooting events. 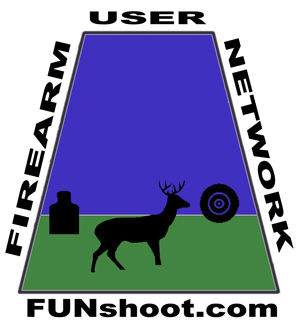 Firearm User Network℠ is our main information site and blog. News, updates, info on our programs, rulebooks, blog postings, etc. can be found here. Sign up for email updates (via Feedburner) and we’ll keep in contact. FUNshoot℠ is the site hosting the web interface to our services. This is your portal to the future of effective management of marksmanship programs. Our state of the art, enterprise-class, solutions and tools offer an unprecedented amount of power to ranges and clubs of all sizes, all at a price the smallest ranges and poorest shooters can afford. Industry-sponsored tools are free for everyone! …All with a single, simple interface that automates most of the work for you! We publish a free newsletter from this blog via FeedBurner. Sign up today!